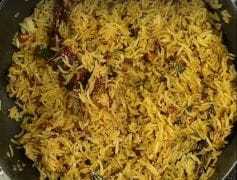 About Tamarind Rice Recipe: A tangy rice dish made with channa and urad dals, infused with the flavor of tamarind pulp. 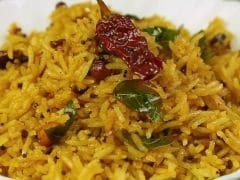 Tamarind rice is actually a north Indian version of Pulihora or Puliyodharayi, where the term 'Puli' means something sour. Tamarind here is the sour ingredient. This is a perfect meal to cook when you want something light, easy and quick. 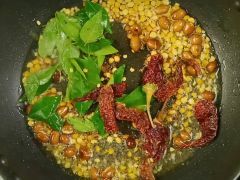 1.Heat oil and roast peanuts along with both the dals. 2.Saute till the dals splutter and slightly coloured. 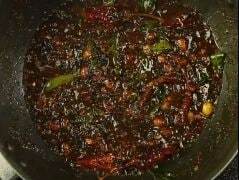 3.Now add curry leaves and whole red chillies. 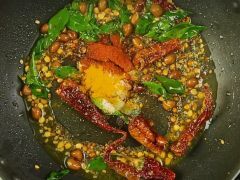 5.Add salt, hing, red chilli powder and turmeric powder. Saute them well. 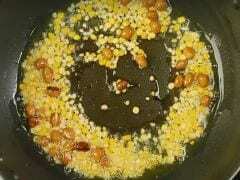 6.Add gur to the cooked mix and saute well. Now add the tamarind pulp to the mix and saute till it becomes a semi thick gravy. 7.Add cooked rice to the mix. 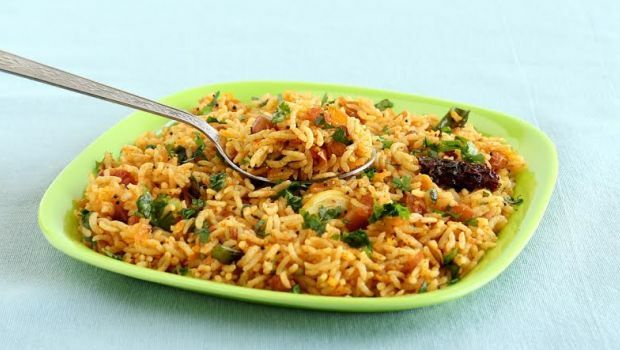 8.Saute it well so the rice is completely mixed with the cooked gravy. 9.Serve hot, garnished with a tamarind. Cook exactly as written in the recipe..